Shamika and Amogh gave birth to a baby boy but unfortunately the boy was born premature and needs to remain in the ICU in order to recover. 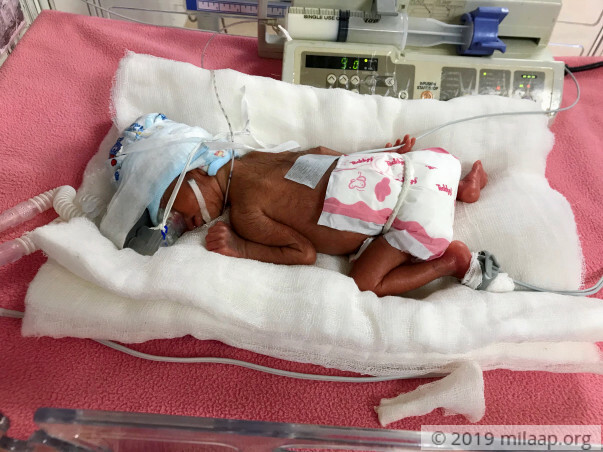 He is now suffering from severe low birth weight and respirator distress and needs to remain in the NICU for the next 6-7 weeks. The total cost of the treatment is around 985000 Rs. Help this baby boy recover soon and go home with his parents. Our baby boy was discharged and he is now at home and doing well. He has a normal diet and we have been advised for follow ups. This couldn't have been possible without the the support of you. Thank you so much for the love and support which you have shown towards the little one. By god’s grace, our baby boy is stable and responding well. There’s also an improvement overall as he is gradually gaining the desired weight and is also on the minimal airway pressure support (CPAP). We would like to thank each and every donor who has come forward in our support and has done their bit for us. Be it through prayers to the almighty or through generous donations. 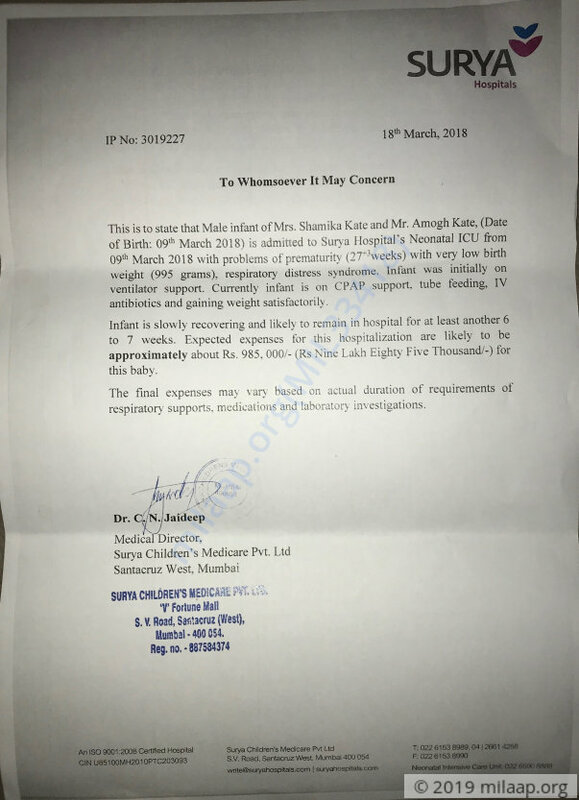 We would like to stop the campaign as we have managed to arrange for the remaining funds and the funds raised through this campaign will be utlized for any pending bills we have incurred at Surya Hospital. Thank you for all the support once again.